Buy the ticket, take the ride. 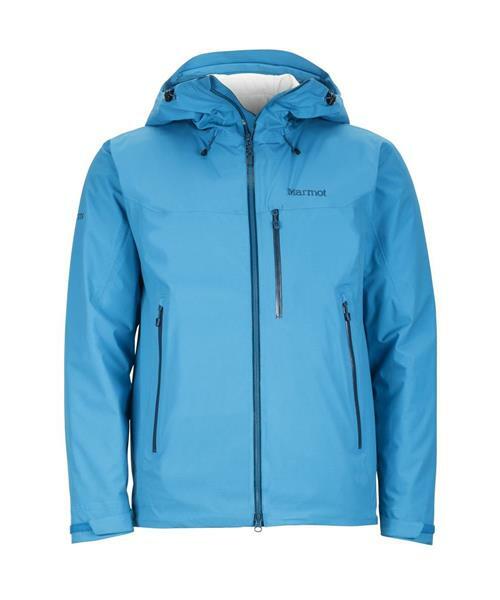 The Headwall Jacket is Marmot's go-big-or-go-home jacket built for active, cold-weather use. The seam-taped, superlight 20-denier stretch NanoPro™ MemBrain® fabric is fully waterproof and filled with Primaloft® Silver insulation, a lightweight active insulation which allows more air movement. Backed with an inner air-exchange lining that ups the ante of breathability, technical features abound in this breathable, compressible hyper specialized package.